It’s before sunrise. I’m in the nursery with my baby daughter having just fed and changed her. And as she’s happily wiggling around on her changing mat, it occurred to me… this is a whole new reason to be awake in the early hours. This is an expansive, secure, loving and abundant reason to be awake at this hour! But it’s certainly not the reason I used to be awake at silly o’clock in the morning. 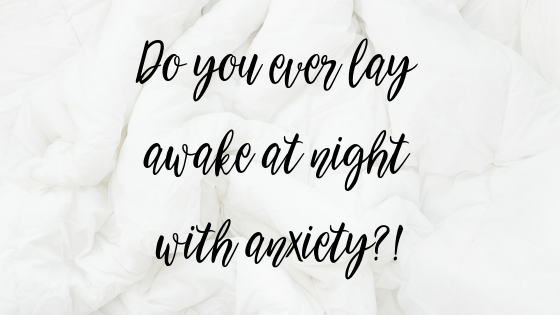 I remember years ago laying awake with anxiety, driving myself mad with questions that started with “what if…”, “how…” and “why…”. I remember my heart dropping into my stomach and entering into sheer panic about money. I remember feeling sick and light headed, not being able to focus on any practical solutions, because the fear was simply too powerful and all-consuming. I remember fearing the postman because of what letters and demands might come through the letterbox. I remember lying about how bad it got (in fact I never revealed the full extent of exactly how much debt I got into until about a year ago). I remember the long nights not being able to fall asleep, playing over every possible scenario in my head, and feeling completely 100% isolated. And the thing that would have empowered me most in those moments…. A TRIBE TO TALK TO. Sometimes all we need to do is talk it out in a place where everyone else gets it. Like actually fully gets it. Not friends and family, because they have a tendency to judge, or panic too, and that just makes it a million times worse. But in a community of like minded men and women who have experienced the same things you’re going through, who desire the same things you do, have zero judgement, practical solutions, and provide so much love, understanding, and support, that it helps to get your head clear and move from panic into aligned inspired action. What we need in those moments in the early hours of the morning is a global community and a truly safe place to share and be. This ‘safe place’ exists inside the Money Mindset System Facebook group, and it still shocks me how powerful this tribe is, and how those who have been through the system several times, come back time and time again to our little group to get the answers and support they’re looking for. Oh and the tribe I mentioned…? They’re yours for life! Along with everything else in this system. You will never be alone in those moments again.